Hopefully you already know how great Preview is. It comes built in with every Mac, it handles PDFs and images with ease, and does a great deal of basic image editing just fine, saving you the bother of opening more substantial, more expensive image editors. 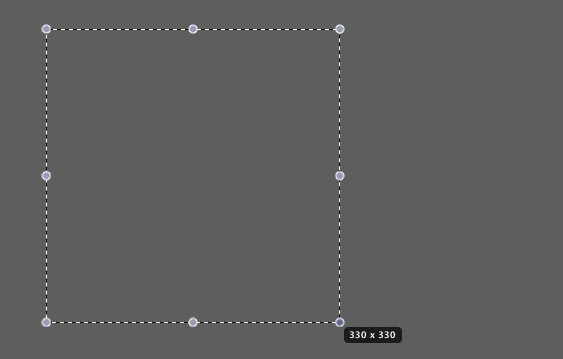 Here’s a tip for getting perfect square crops inside Preview. It’s a safe bet that most Cult of Mac readers – and certainly all the Cult of Mac writers – are broadly in favour of almost everything Apple creates. 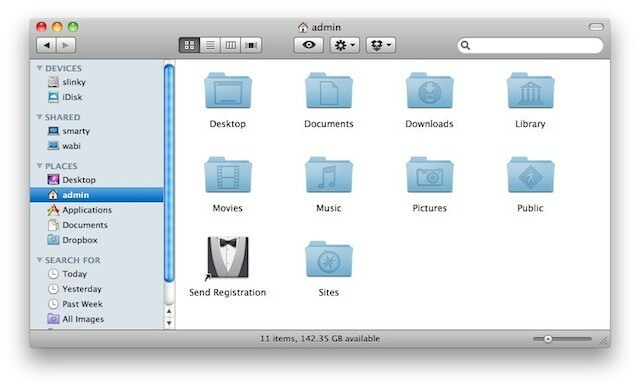 If there’s one feature of OS X (Snow) Leopard that drives me and every other Mac user I’ve ever known mad with fury, it’s the Help Viewer, and its obstinate insistence on floating on top of every other window in sight. You want your computer to be as secure as possible, right? 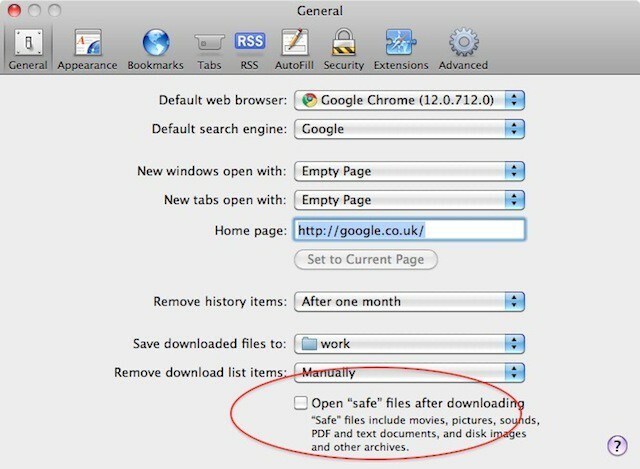 Here’s one thing that newcomers to OS X might want to change pretty soon after getting their hands on their first Mac. 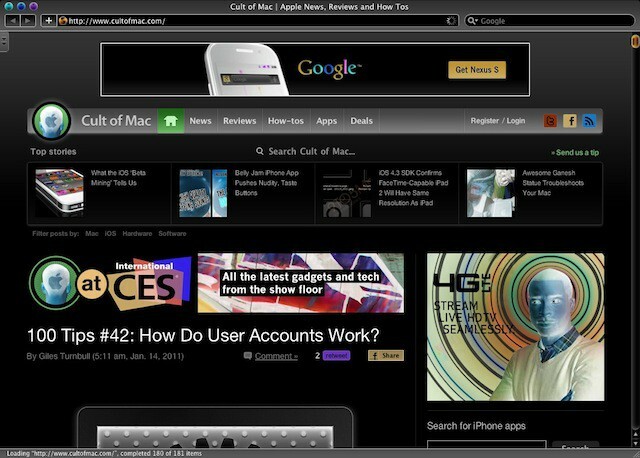 The OS X web browser, Safari, is a pretty good browser in almost every respect. But it has one default option that, personally speaking, I’ve never felt very comfortable about leaving switched on. It’s true: sometimes Macs do crash. More often than not, though, crashes will be limited to a single application, rather than the entire system. You’ll know an app has crashed because it simply stops doing anything. Clicking on controls has no effect, scrolling gets you nowhere; the app simply doesn’t respond to your usual commands. So what do you do next? First, don’t panic. 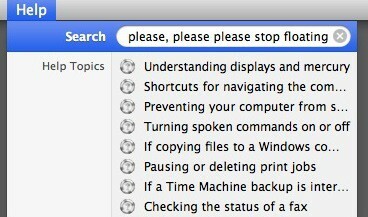 OS X is designed to keep crashes under control. Even if an application has crashed, in most cases you’ll still be able to carry on just fine with work you’re doing in other applications. All you have to worry about is the one that’s crashed, and any unsaved work you had inside it. 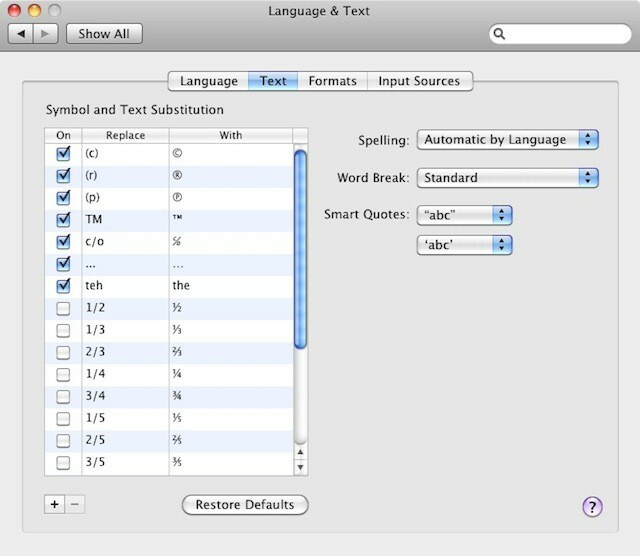 In the System Preferences application, you’ll see an icon called “Language and Text”. If you open this, and select the Text tab, you’ll see a list titled “Symbol and Text Substitution”, which provides some useful text shortcuts. You can use these to auto-correct common typos as you make them, or to replace short text mnemonics with longer words or phrases. When friends or family come to stay, they might want to borrow your computer for a while. That’s fine, but sometimes you want to keep your stuff private, and you want your personal settings to stay as they are. 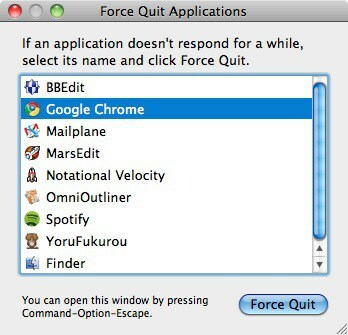 That’s when it’s a good idea to make use of the built-in Guest Account, which you’ll find inside the Accounts pane of System Preferences, as long as you’re running OS X 10.5 (Leopard) or later. 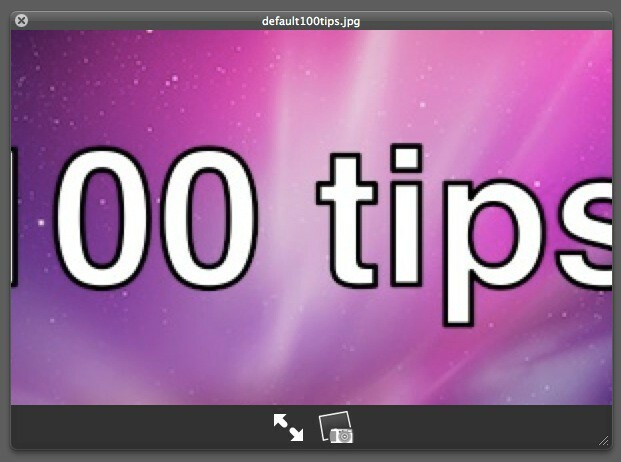 Back in Tip #27, we showed you how to use QuickLook, an extremely handy way of previewing all sorts of different files on your Mac. QuickLook is particularly handy for checking out image files, especially when you have a folder’s worth, all with identical generic icons rather than thumbnail icons, and you’re not sure exactly which one you want. It also has a hidden secret feature: you can zoom in to images while in QuickLook mode. Here’s how. The Stationery Pad is an often overlooked feature of Mac OS X, designed to let you create your own template documents. It’s a very flexible system – pretty much any document you create can become a template. 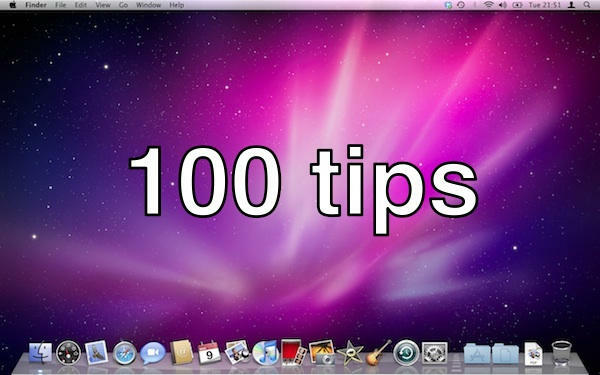 100 Tips #45: What Are These Folders In My Home Folder? The Home folder in a new account will probably look like the one above. These are the default folders automatically created inside the Home folder of a new account. You can create more folders here if you wish – after all, this is your Home folder, for you to play with as you see fit – but I’d suggest that beginners stick to the hierarchy that’s set up for you by the system. In this post, we’re going to go through those folders one by one.